If you find yourself in a situation where you need to restore your Mac from a Synology NAS, you will find out pretty soon after you enter the recovery mode, that backup disk is not visible in recovery window. Steps need to be executed in order Recovery process to find NAS. 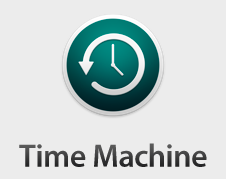 Best practise is to name Time Machine shared folder on Synology without spaces. Second, if you are using a password with spaces, which I strongly suggest from security point of view, always put it between ' ' example: 'This is my password'. Where admin is your username with administrative rights, password is password for that account (use ' ' if you are using spaces) and TimeMachine is the name of your TimeMachine share on your NAS. Now quit the Terminal and select Restore from Time Machine. Your backup on NAS should be visible now. Just follow the instructions on screen.